I know it goes without saying, but to get good at something, you have to practice. 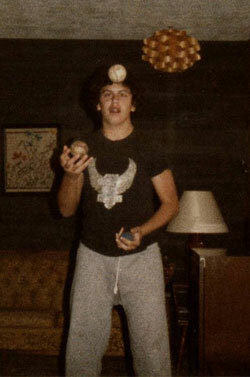 I’ve been juggling since 1981 (and I have the picture to prove it!). I used to devote all my free time to juggling. During the times I didn’t juggle — when I came back to juggling — certain things I once did with ease were hard. But other things I never thought about or tried before came easy to me. Recently, after a very long time of not juggling, my wife and I had a juggling picnic. The first time I picked up four clubs in I can’t remember how long, I had my best run ever. I had a couple good runs with five clubs, too, and one of the best five-ball runs I ever had. It’s the same thing with writing: if I don’t write for awhile, when I come back to it, certain things frustrate me, but I’m also amazed at how easy new things just happen. There comes a point where obsessive practice pays off. While juggling and writing aren’t quite like riding a bike, if you practiced hard enough and often enough in the past, it’s not so hard when you get back to it after some time away. 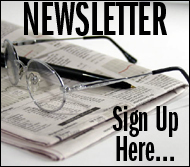 In fact, you just might find yourself coming up with things you never thought about before!